To capture the value and entrepreneurship spirit of millennials (and the future Generation Z) by creating a community in which each individual can connect, develop and prosper. 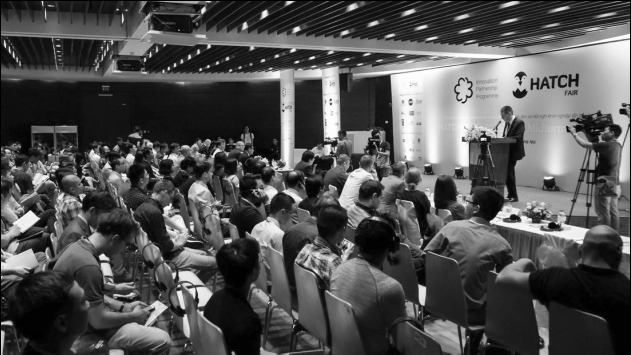 We support the development of Vietnam's startup ecosystem. We provide startups, digital nomads, and remote-workers unique co-working spaces. We focus on forging innovative ideas into impactful businesses. Dat has 6+ years of experience in entrepreneurship, business development and management, corporate communications and marketing, including 5 years at HATCH!, where he's assessed 1,000+ business models, worked with 150+ companies in refining business strategy, product management, investment and business development. Dat also organizes the international-scale conference and exhibition HATCH! FAIR, which joins participants from over 20 countries. Previously Dat held the Managing Director role at ABL.INK Communications, working with brands such as Google, NatGeo, Fox, BBGV, and Häfele. Dat is listed in Forbes Vietnam 2016 "30 under 30" for shaping the startup ecosystem in Vietnam; he's a Tedx speaker; a "Leader of Tomorrow" at St. Gallen Symposium in Switzerland; "Young Global Changer" at Think20 Summit in Germany; a "Young Leader" at Vietnam-Australia Young Leadership Dialogue; an Executive Participant at Swedish Institute Management Program; and an Endeavour Executive Fellow via the Foundation for Young Australians in Australia. Dat has a BS in Business from Foreign Trade University. Dat is currently an MBA candidate at IESE, which is ranked among top 10 global MBA programs. ​Aaron grew up on a ranch in Oregon, USA. Summer was occupied with caring for horses, cows, sheep, goats, and chickens (inspiring, of course, the "hatch" name). He endured Oregon's long winters building circuit boards and PCs, or playing hockey. At fourteen, he moved to Palo Alto, California for high school. He studied the fine art of poetry at the University of California Santa Cruz earning a BA with honors. He studied poetry at masters level at San Francisco State University. He has an MBA from La Trobe, Melbourne. After a five year career in "commercial poetry" (brand naming, copywriting), followed by five years as Technology Director at Landor San Francisco, Aaron moved to Vietnam as a volunteer for an NGO. Liking Vietnam, he decided to stay and open a boutique creative agency along with a former Ogilvy executive. The company spun off the unit controlled by Aaron, and established as ABL.INK. Aaron founded HATCH! in 2011 to serve the individual entrepreneur. In 2016 and 2017, he was awarded top 2% best mentors in Founder Institute. He's also a founding member of the Asean Angel Alliance. Does your mission, vision, or values align with ours? If so, let's talk!